Pete Meitzner for Sedgwick County? In normal times, Republicans may be reluctant to vote for a Democrat for the Sedgwick County Commission. But these are not normal times, and a vote for Pete Meitzner sends a message that we just don’t care about our economy. First, there are some elected officials and bureaucrats who have presided over the stagnation of the Wichita-area economy. These people need to go. Second, there are also institutions that are problems, with one glaring example. In one way or another, the Wichita Regional Chamber of Commerce has taken the lead in economic development for many years. In recent years the Chamber ran Greater Wichita Economic Development Coalition. Now the effort has been split off to a non-profit corporation, the Greater Wichita Partnership. That sounds good, but under the hood it’s the same leadership and the same methods, although with a few new hired hands. So when James Chung (and others) says our manner of operation is not working, it’s the Wichita Chamber of Commerce and its ecosystem that must assume a large portion of blame. That Chamber ecosystem is pumped up and funded by the City of Wichita and Sedgwick County. Bureaucrats and elected officials on those bodies who have supported these economic development efforts must be dismissed. At the top of this list is Wichita City Council Member Pete Meitzner (district 2, east Wichita). He’s running as a Republican for an open position on the Sedgwick County Commission in east Wichita. Let’s compare these claims to the record. Nearby is a chart of nonfarm jobs in the Wichita metropolitan area. I’ve identified when Unruh and Meitzner took office. As you can see, when Unruh took office there had been a downturn. But the Wichita economy improved, although slower than the national economy. When Meitzner took his position on the city council, there had also been a downtown. The national economy recovered. But the Wichita-area economy has not recovered. As time passes, the gap between the Wichita and national economy grows. There are other indicators besides jobs that illustrate the performance of the Wichita-area economy. Gross Domestic Product, the total value of everything produced, has fallen. Real personal income fell in 2016, the last year for which there is data. 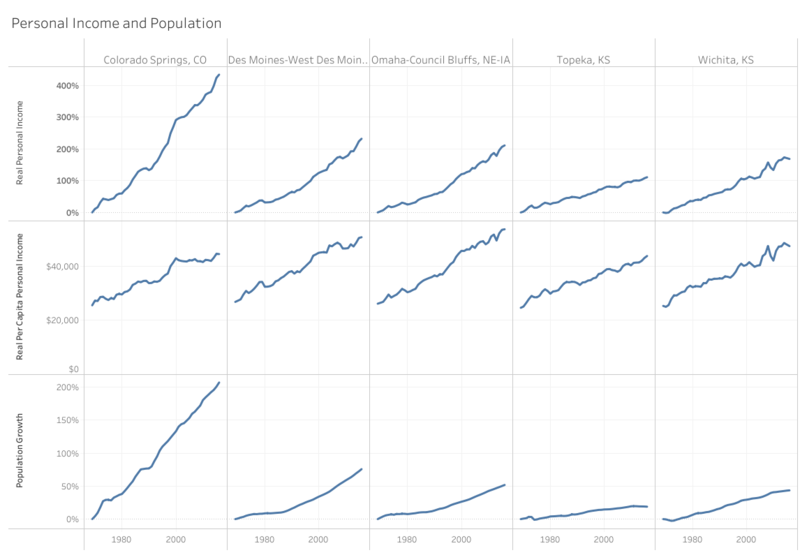 Over the years, its growth in Wichita has been slower than most other areas. To see how others evaluate the Wichita-area economy, consider the Brookings Institution Metro Monitor. From Brookings you can also learn that Wichita exports are falling. Despite all the evidence, Meitzner is running on his record. His campaign literature says he is committed to “Maintaining his track record of successful ECONOMIC DEVELOPMENT.” He praises the Wichita city manager, the city bureaucracy, and our economic development machinery for doing a good job. He believes these are doing the right thing. This demonstrates another problem. Besides presiding over our region’s poor economic performance, Meitzner (and Unruh) do not acknowledge the problem. To them, there is “momentum.” We’re “really moving in the right direction,” Meitzner says. For someone to say these things, they must be either blissfully ignorant, a blatant liar, or someone who wants to be in office so badly that they’ll say anything to be elected. 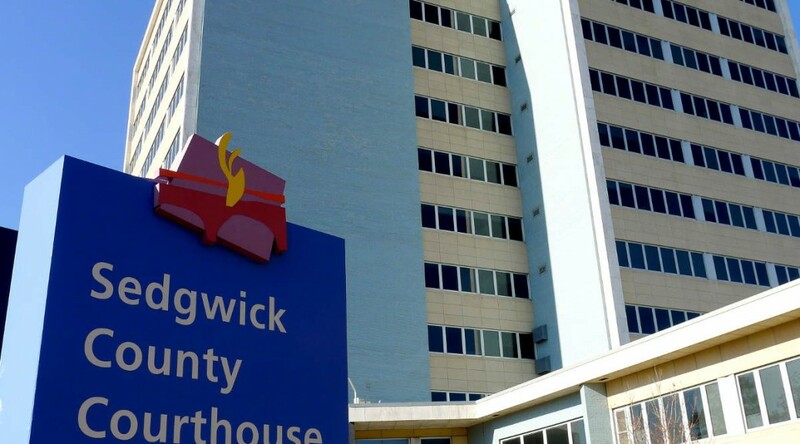 Republicans may be reluctant to vote for a Democrat for the Sedgwick County Commission. In normal times, I am too. But these are not normal times, and a vote for Pete Meitzner sends a message that we just don’t care about our economy. And your latest puppet, Renee Duxler, doesn’t even know you’re using her. What a joke. Renee Duxler is absolutely awful, but it was still worth it to vote for her over Meitzner. How great would it be if Petey-pie went down up against someone like her?